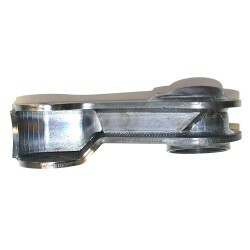 EAD Offroad carries universal steering components from GenRight and Synergy. If you can’t see what you are looking for there’s a good chance we can get it. 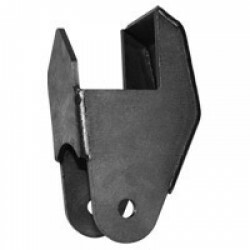 Synergy Universal Track Bar Frame Bracket - Un-welded Un-welded Bracket (4 Pieces) Accepts 9/16" Bolt Mounting width: 2-5/8" Designed to work with Bushing Kit: Part #4305 Installation Requires (1 Hour): ..
Universal weld on track bar bracket designed for cross over, hysteer or normal steering alxes. 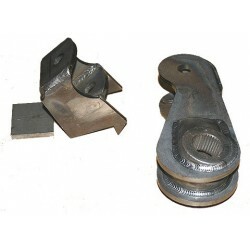 Bracket can be trimmed to desired height to adjust the mounting position of the track bar to alighn the track bar and drag link in the same plane 9/16" through hole, 1.6" mounting width to ma.. 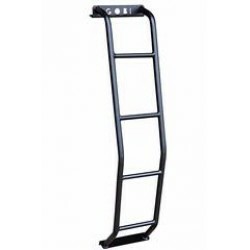 This is the Heavy Duty GenRight Front Trac Bar ONLY. 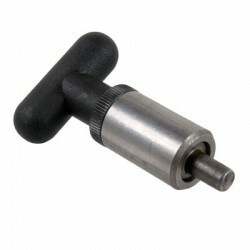 This product is still considered part of our "builders" product line, since it requires the end user to properly cut it to size and weld in the threaded bung for the Heim rod end on the axle side. 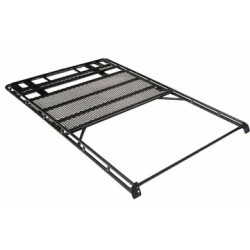 The Trac Bar is designed to keep the front axl.. 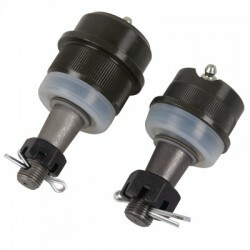 This is the GenRight "builders" steering (Drag Link and Tie Rod) kit. 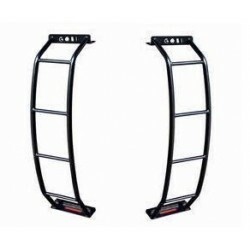 It is a perfect compliment to our Front 3 Link suspension kit and can be cut to fit any vehicle (including a Jeep TJ, LJ, CJ or YJ) or axle width and works best with hi-steer type knuckles. This kit is made up of the best componen.. 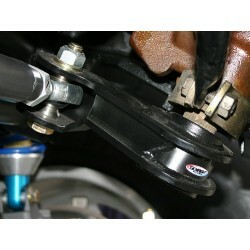 This is the GenRight Drag Link Correction Kit with heims. 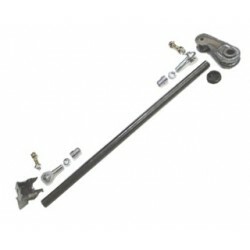 It includes our Twisted Pitman Arm, heims, bungs, jam nuts, bolts and our Hi-Steer Arm Mount to correct the angle issues inherent in long travel front suspensions (issue being; not enough down travel on the drag link heims when both pitman ar..
GenRight CrMo Tie Rod Kit - Dana 30/44 5/8"
This is the GenRight TIE ROD kit, it is a perfect upgrade for any vehicle with a Dana 30 or 44 front axles. 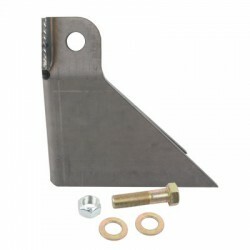 This kit is made up of the best components available! 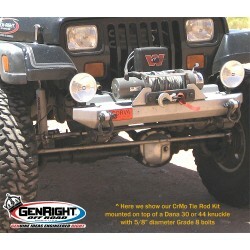 This Heavy Duty kit will hold up to big tires and off-road abuse. 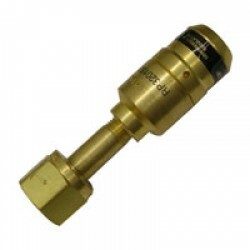 Got a hydraulic ram? It will work with that too. 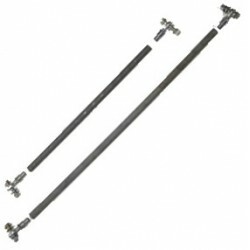 5/8" kit..
GenRight CrMo Tie Rod Kit - Dana 60 3/4"
This is the GenRight Tie Rod kit. 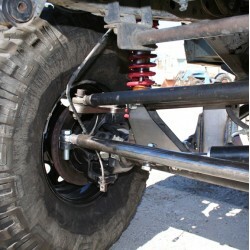 It is a perfect upgrade for any vehicle with Dana 60 or bigger front axle. 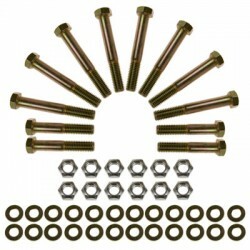 This kit is made up of the best component available! 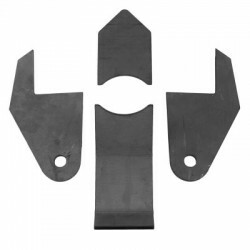 This Heavy Duty kit will hold up to big tires and off-road abuse. 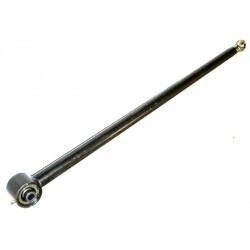 Got a hydraulic ram? It will work with that too. Kit incl.. 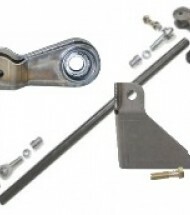 This is the GenRight Drag Link Kit for heims. 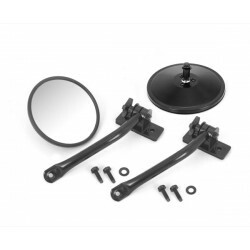 It includes our Twisted Pitman Arm and our Hi-Steer Arm Mount kit to correct the angle issues inherent in long travel front suspensions (issue being; not enough down travel on the drag link heims when both pitman arm and hi-steer arm are flat). We create.. 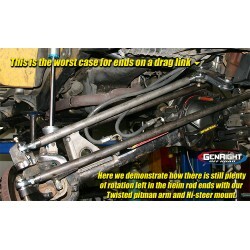 This is the new and innovative GenRight Twisted Pitman Arm kit to correct the angle issues inherent in hi-steer set ups (on long travel suspension systems using heims). 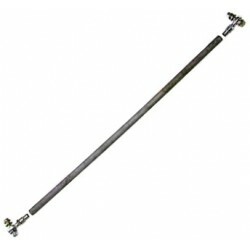 We create a stronger double shear pitman arm that uses a beefier 5/8" size Grade 8 bolt that is twisted to allow the heim to work w..